Review Shock horror – Apple laptop in so-so review scandal. 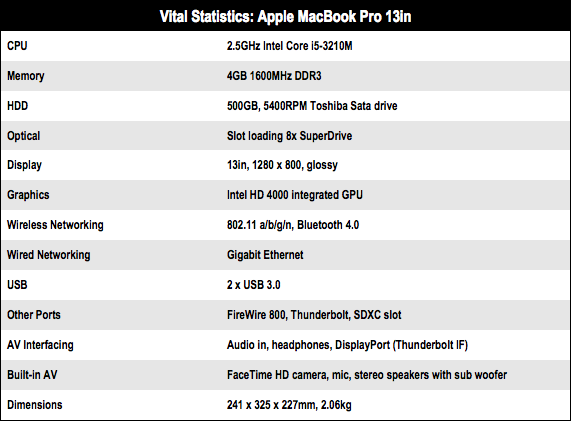 The latest MacBook Pro with Retina Display may be setting a new standard at the top of the range, however, this modest update for the standard 13in MacBook Pro looks rather like it’s resting on its laurels. Admittedly, it’s got some pretty good laurels to start off with. The one-piece aluminium design may be unchanged but it’s still one of the smartest, most attractive 13-inch laptops on the market. The build quality makes most of its rivals look like a lump of Lego. The screen is bright and sharp, and the keyboard and multi-touch trackpad are well-crafted and comfortable to use. 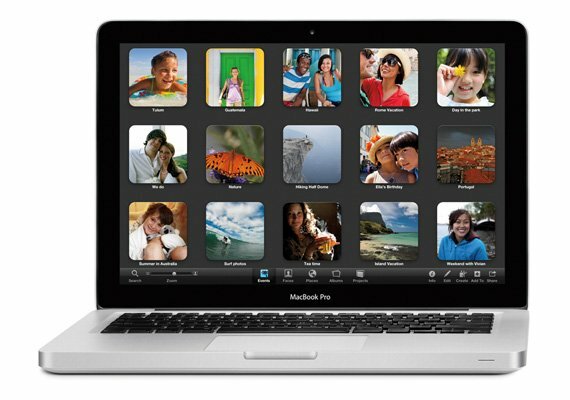 And let’s not overlook the fact that included is Apple’s iLife multimedia suite that provides an impressive range of creative and authoring features straight out of the box. The problem for this year’s model, though, is that Apple is still charging a top-of-the-range price for what – in 2012 – now looks like a fairly mid-range specification. The £999 starting price remains unchanged, although the 2.4GHz Sandy Bridge Core i5 has now been replaced with this year’s Ivy Bridge version – a 2.5GHz Intel Core i5-3210M. The modest 500GB hard disk stays the same, as does the 4GB RAM, although the RAM does get its own speedbump from 1333MHz to 1600MHz. And at this price you should really be hoping for an SSD, rather than a plain old hard drive. There’s another 13in model priced at £1249, which runs a 2.9GHz Intel Core i7-3520M CPU, doubles the RAM, and increases the hard disk to 750GB, but that is pretty much it for the 2012 edition. The only other significant change is Apple’s belated adoption of USB3 – which is welcome, but at least a year overdue.